When DailyBuzz Style selected me for its January "Day to Night Makeup" 9x9 style challenge, I was beyond excited. After all, as a working professional who flutters through a busy social calendar, I'm all about finding makeup shortcuts that can quickly take me from looking professional and well-coiffed during the day to out the front office door and party ready when the clock strikes six. Inspired by two period movies I'd recently seen, my two looks for this makeup feature is a throwback to retro glam, to a time when style and femininity effortlessly permeated the beauty landscape. My Week With Marilyn" showcases Michelle Williams transformed into the ultimate pinup girl while "Flowers of War" features the elegant glamour of 1930s China. To fabulously take your retro glam makeup from day to night, it's absolutely imperative to start with a good base using long-lasting and hydrating products. 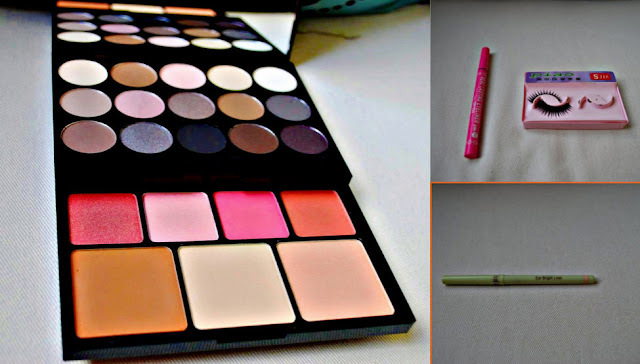 *owning a wide range of high quality makeup brushes is a must for every makeup maven. After all, your face IS the ultimate canvas! 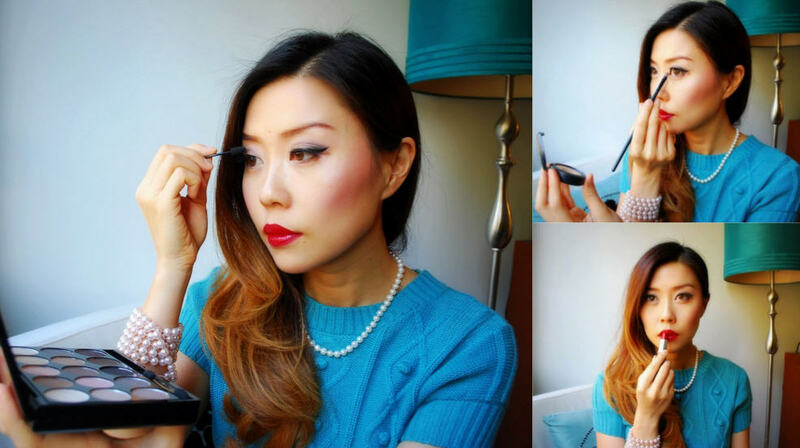 A daytime retro glam look does not require a ton of makeup. Instead, focus should be on specific eye-catching areas. Molly, my makeup artist pal from Blushington Makeup Salon suggests creating curved and dramatic eyebrows, winged eyes, and soft and pouty lips for a natural but distinct daytime retro look. 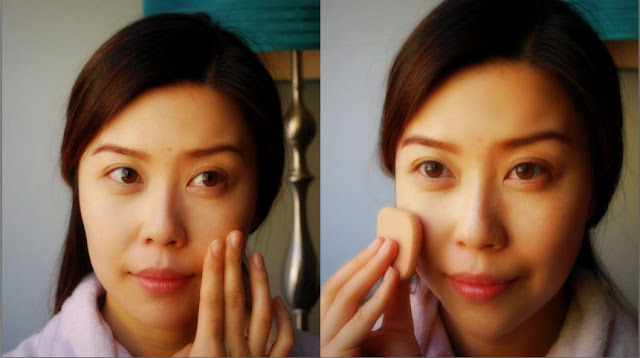 Step 1: A light pink shadow is applied all over the eyelids. Step 2: A light taupe shadow is layered over the eye crease. <3 NYX Cosmetics Naked Palette as it contains all the essential eye-enhancing colors for a perfect daytime look. Step 3: Adding on a pair of false lashes instantly widens and makes my eyes pop. Make sure the lashes are not too long and Elvira-like. After all, you're wearing this look to work, not to trick or treating! It's also imperative that the lashes wing out and are longer at the outer corners, creating an effortless cat-eye effect. <3 Red Cherry False Lashes, made with 100% human hair. <3 Conair Infiniti Pro 1 1/2 inch barrel curling iron. It create soft and long lasting loose curls that's frizz free and worry free! To easily and quickly transform my daytime look to something that's more evening appropriate, focus on the eyes and lips! Simply add a layer of dark taupe eyeshadow to the inner eye creases, followed by gel eyeliner to both the top and bottom lash lines. Next, a light layer of ivory cream shadow added to the inside corners will make your eyes brightly pop. Reapply your blush as it's probably a bit faded by now. 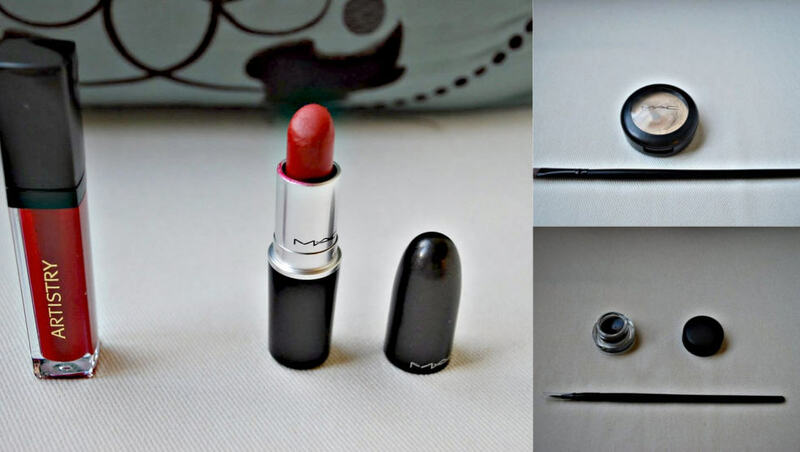 Lastly, boldly change your lip color to an eye-catching vixen red. My go-to color is a combination of MAC Russian Red layered with a coat of Artistry burgundy lip gloss, which adds shine and moisture. And just like that, you've gone from Norma Jean to Marilyn in under ten minutes! you look gorgeous in all of the looks! Wow, the makeup looks beautiful! Loving the day time look and what a pretty outfit too, the colors are so nice together. What a gorgeous retro do. I'm sooooooooooooooooooooo copying this. i love the night time look! so talentedd!! You look amazing! I love the night look on you. A day and night look - I wonder why the wife never thought of that. An even bigger question is what will happen to me if I suggest it to her? That's not to say I won't try to tell her about it. You're so pretty and you do have a talent for doing those fab makeup. I'm don't wear makeup unless necessary. But I can't hid my spider veins on my cheeks. Do you know a good clinic where I could have an IPL therapy?